As one of the premier builders in Chester, T Harrington Builder Chester provide all aspects of building services in and around the Chester area and no job is too big or small. Communicating well with all our clients we always produce the best quality work, using the best materials, at the best possible prices. 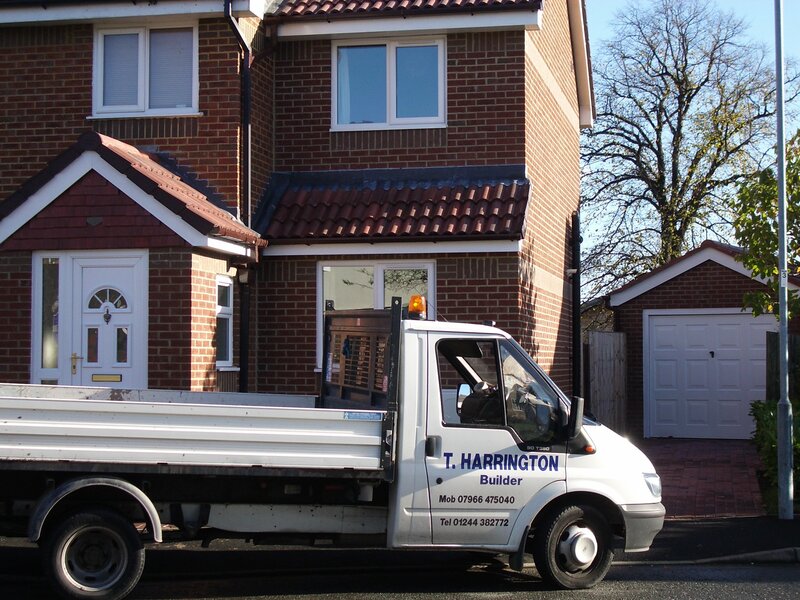 T Harrington Builders in Chester offer a very professional service and are fully qualified. All quotations are free of charge with no obligation so please feel free to get in touch and we’ll let you know the full extent of the work that needs to be carried out. The team at T. Harrington Builders is highly qualified, with many years of experience. All our workers are time served and will treat your home or workplace with respect. We pride ourselves on being reliable which is why we have such a good reputation. We always strive to make sure the job is completed on time and to budget with the minimum of disruption to you and your property. We have the experience and expertise to meet all your requirements and needs providing a wide range of top quality services. Our business has been established for many years and we carry out our work to the highest standards. We cover the whole of Chester and all surrounding areas. We offer a very professional service with highly trained workers and all staff are time served. All our estimates are competitive and we will always do our best to match your exact requirements. Please get in touch today and we will arrange to give you a FREE no obligation quote for and building work in Chester and all surrounding areas.